Various local players last weekend participated in the Italian Grand Master Open in Bologna, Italy with mixed results obtained across the two-day event. Good Luck to the Maltese Players in Bologna! Over the next three days a number of Maltese players will be participating in the Finders Italian Grand Master Open 2017 in Bologna. 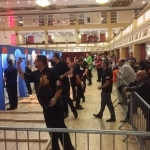 The Spa, Bridlington was the venue today for the Lakeside World Qualifiers, where four men and two women’s places were up for grabs for the biggest and and most prestigious event on the BDO calendar. Players dreams all their lives that one day they will step on to the most famous oche in world darts at the Lakeside and compete in the BDO World Championships. Matul l-aħħar ġimgħa, tliet plejers Maltin ikkompetew f’ erbgħa kompetizzjonijiet prestiġjużi ġewwa Bridlington, fl-Ingilterra. Norbert Attard, Albert Scerri w Paul Busuttil ma rnexxielhomx jaslu sal-fażijiet finali ta’ l-ebda kompetizzjoni, però din l-esperjenza swiethom ħafna ġid peress li numru ta’ plejers ta’ stoffa mondjali kienu qed jipparteċipaw fl-istess attivitajiet. 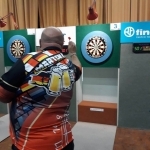 Ross Montgomery defeated Cameron Menzies 6-5 to become the 2017 Mens Winmau BDO British Open Champion. Corrine Hammond carried on from her runners up place in the British Classic yesterday with a 5-3 victory over Anastasia Dobromyslova to become the 2017 Ladies Winmau BDO British Open Champion.